During 4 days, from February 4th 2019 to February 7th 2019, Indochina Junk’s office and our boats on Halong Bay will be closed. It means we will not provide services from Feb 4th 2019 to Feb 7th. The office and tours will resume as normal on February 8th 2019. During the holiday period our mail server will remain open to receive your requests. Our travel consultants still follow your booking that you emailed them before. In an emergency, please call us at the hotline number: (+84) 964 34 33 22. 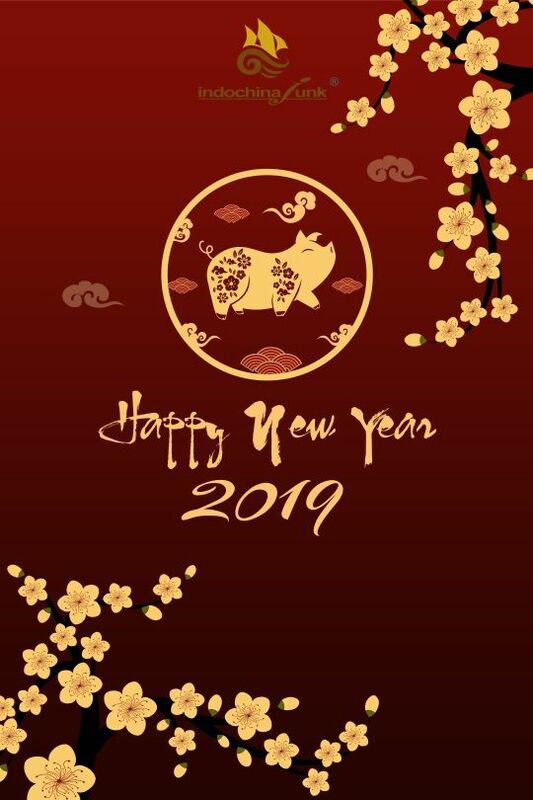 On this occasion, we would like to thank you for your great support and cooperation in the year 2018 and look forward to receiving your continuing assistance in 2019 – Year of The Pig in Vietnamese Calendar. We wish you and your family health, happiness and success in the coming New Year.